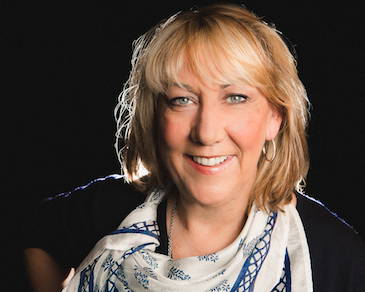 Before taking on the Director position, Christine Dudley was a veteran independent consultant of strategic planning and tactical support for a wide variety of corporate, association and political clients. She has served in lead management roles throughout her career, including Special Assistant to the U.S. Secretary of Labor Lynn Martin. She also has had background in the arts, appearing on the Indiana television program “Beyond Our Control,” and serving on the boards of the Illinois Arts Council and Chicago’s Shattered Globe Theatre. Christine Dudley has been a role model for women in government, serving on Women’s Advisory Board for Senator Mark Kirk and as Treasurer for Chicago Women in Government Relations. The Illinois Film Office is located in the James R. Thompson Center in Chicago, and promotes the State of Illinois as a global destination for premier film, television and commercial advertising industry production. 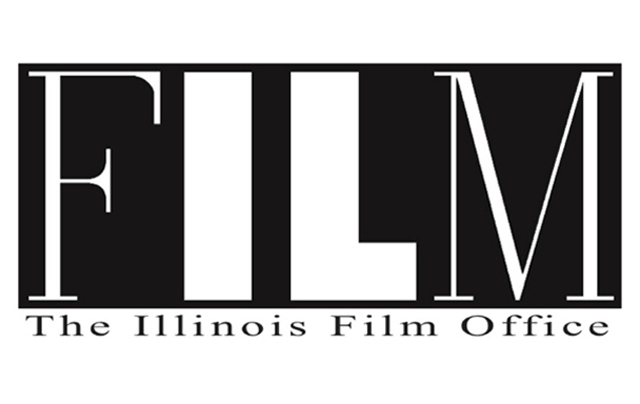 The office manages the film tax incentive program, in addition to a full range of services that supports production, business development and the continued growth of the creative arts economy of Illinois. HollywoodChicago.com interviewed Christine Dudley earlier in the year, to get a read on her first year in office, and to get an overview on current production in Chicago and Illinois. HollywoodChicago.com: After over one year in your position, with so much happening in that year, as you sit in the office today what is the state of film and television production in Illinois? Christine Dudley: It’s exciting and robust. It’s growing, and I think we have great opportunity – not only for film and television, but also in the advertising field. Traditionally, the ad industry is an important part of the community, and there are many storied agencies in Chicago. It’s all part of the ecosystem, and all of them, film, television and advertising, feed each other. Last year was very good because the infrastructure continues to grow and cross-pollinate. But of course, there is always more to be done. HollywoodChicago.com: As a political campaign director and consultant for years, how did the Illinois Film Office feel like good fit for you when appointments were being fulfilled after Governor Bruce Rauner was elected? Dudley: I started out in theater and communications at Indiana University. The world of government takes advocacy and management. I’ve managed a lot of campaigns – they were political campaigns, but campaigns are campaigns – in the sense that you are managing a program with a deadline and a budget. So from a management standpoint, the opportunity to manage a state office was a good fit because of the experience I possess managing programs, budget and staff, and advocating for issues. HollywoodChicago.com: Are you the type of manager that seeks specific goals for your organization, and what are those goals, if any, for the Illinois Film Office for this year, and going forward? Dudley: Yes, I believe in metrics, and so does the Illinois Department of Commerce, and the Illinois Film office. We’re in the Department of Commerce for a reason. When we talk about entrepreneurial innovation, I include the film, TV and ad industries. It’s also about business development, not just actors on a sound stage. It’s about everything that makes a production happen, and all of those ‘everythings’ ultimately involve business. From a metric perspective, the state film tax incentive for production allows us to look at some very specific numbers relative to the infrastructure that qualifies for that incentive, such as number of hires and spending on Illinois goods and services. HollywoodChicago.com: Does that include comparing against past metrics and successes? Dudley: We’re looking at building upon the success of Betsy Steinberg, my predecessor, and assessing what has been working and what may no longer be relevant. So we build on the success of the previous years, and look at – from a business development position – how do we make this an all-inclusive community? How do we make our assets work for us? With the infrastructure we have, the creativity we have – through the whole state of Illinois and our university film and media programs – do we have all the tools in the toolbox, to make sure that nobody has to go anywhere else to get their productions going, and do we compete from pre-production to post-production? We aren’t New York, we aren’t Los Angeles, we are Chicago, and that is a great thing. HollywoodChicago.com: And what are some examples of what works? 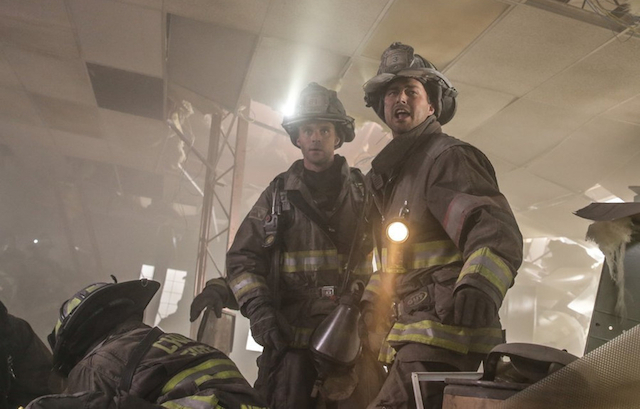 Dudley: Well, obviously episodic television [‘Chicago Fire,’ ‘Chicago PD,’ ‘Chicago Med,’ the upcoming ‘Chicago Justice’ and ‘Empire’] is a sweet spot in terms of revenue and job development. So from that vantage point, it’s good to always have episodic television in the pipeline, and expanding it. Another area that is emerging is Netflix and Amazon original programming, and it’s growing. I’m pleased to say, without specificity, that we’ve had a lot of conversations about potential projects in Illinois. We’ve already had Netflix in Illinois with the Wachowski’s “Sense8” series in Chicago, which was renewed. Once we begin to measure that business, we know that there will be success – more content is needed as the TV programming demand increases, and the content possibilities continue to grow. HollywoodChicago.com: As far as you can gauge it, what is the governor’s perspective on the importance of film and television production in Illinois, as far as the economy of the business is concerned? Dudley: Film is a business that is growing, and its value to the state’s economy is recognized. As to my previous point, there are so many avenues of content production that are developing, and producing that content means jobs. The governor is an entrepreneur at heart, and the business of film is a revenue producer – it is providing jobs, and it’s growing. Anything that is working and producing revenue is important to the governor’s office and the Department of Commerce. We are all about customer service as part of the Department of Commerce. HollywoodChicago.com: So much of Chicago TV/film production centers on Cinespace on the West Side. How does the vision of the owners who converted that old industrial space coincide with the vision of the State of Illinois to create a Midwestern Hollywood? Dudley: Having the complete menu of tools in the tool box includes sound stages and studios like Cinespace. From the Film Office, we look at all the categories within TV, film and advertising and what each of those categories needs to grow, and to continue to sustain growth. I don’t like the term ‘Midwestern Hollywood,’ because it sounds like we want to replicate the industry on the West Coast. We are Chicago and Illinois, and we have our own identity, infrastructure and talent pool. I know it’s an easy identifier and everybody uses it, but really we want to look at it from a business development perspective within our community – and embrace all forms of media. We want to compete with what we can offer, and that competition is good. HollywoodChicago.com: Much of the actual work in your office is customer service, as you mentioned. With several TV projects in Chicago, and films consistently applying, coming in or phasing out of town, what is a customer service task that gets to your level, that you have to handle personally? Dudley: We have a great team here, and it’s not me – Chris Dudley – that is taking it on, it’s the office itself. Misinformation happens sometimes, whether it’s the film tax incentive or other issues. I may have to intervene because sometimes people just want to talk to the ‘Director.’ We collaborate in this office and the Department of Commerce, our Director and the Governor encourage that, and we work with the nine other divisions inside the department. We’re about customer service, when somebody calls or emails, we get back to them within 48 hours. We want to serve as the gateway to government in the film and production community. If the Film Office is the gateway, we are the facilitators. We are customer-friendly, and we serve the constituents of Illinois. They are our bosses, and we have a responsibility to make government accessible and understandable. HollywoodChicago.com: How does the old saying, ‘all politics are local’ apply to the goals of the Illinois Film Office? HollywoodChicago.com: We’ve spoke before of the potential producer’s role when interacting with the State, to take advantage of incentives available for production. What advice would you like to give those potential projects as far as maybe step one and two? Dudley: Don’t assume anything – always ask the questions, that is what we’re here for. We will work with producers on all elements of their production. We have a great team that can help walk producers through those steps. Cesar Lopez is the Tax Credit Manager, and he manages the day-to-day, and is incredibly knowledgeable about the incentive program and its development. I believe that from the potential production side, they should communicate with us and understand the tax incentive completely. If they have a question, they should pick up the phone and call 312-814-3600 or contact us through our website, Film.Illinois.gov. We want to make sure that everyone has all the information about the program, and we can work with them on the application. If there are questions, we can’t tell you what to put in the application that is unique to your production, but we can answer questions on what it means for your production. HollywoodChicago.com: What is most exciting about what you’ve discovered over the last year, in regard to the film scene in Chicago, that you feel the office can exploit more for public relations possibilities? Dudley: I’m still struggling with that, because government is not the sexiest thing on the planet – it’s the productions themselves, and the media communities that should shine. It’s the grindstone of business development, entrepreneurship and innovation that are the main stories, in other words, the business of “the business,” and how much all this production has literally changed lives. For example, we love episodic television because it’s exciting, fun and good. And those productions are grateful to be filming in Chicago. I am taken aback about the outpouring of affection for the city and Illinois. There is a great spirit here, and people appreciate that. From an economic standpoint, those productions being here benefit the small businesses that support them. Those are the success stories that need to be told, because those are the businesses that have established roots here. HollywoodChicago.com: Of the history of filmmaking in Chicago, which film intrigues you the most, as far as having the attitude it has as Midwestern or Illinois-like, in your perspective, and which film would you have liked to have a small role in, if any? Dudley: [Laughs] In the John Hughes series of films, there are many possibilities. 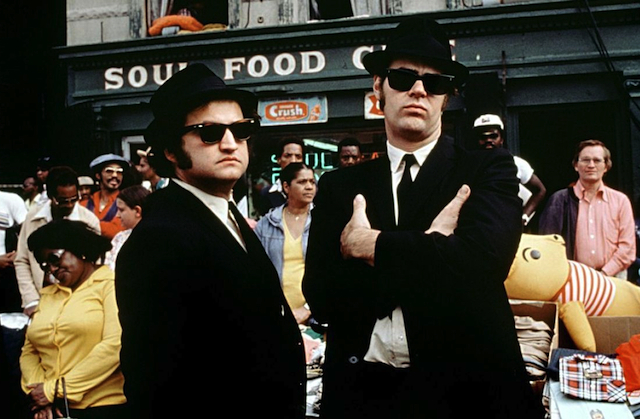 But as far as attitude is concerned, I have to go back to ‘The Blues Brothers.’ It was the renaissance film that brought film production back to Illinois, and it has the iconic characters that live on. From that Illinois perspective, it represents more than just a movie. Which film would I have liked to appear in? It would be ‘Ferris Bueller’s Day Off.’ It makes me happy every time I watch it. I certainly look at it differently now, because of the locations, but it would have been huge fun to be in. The Illinois Film Office, part of the State of Illinois Department of Commerce, is located in the James R. Thompson Center, 100 West Randolph Street, Suite 3-400, Chicago, Illinois.